Bahria Town Phase 8 Extension is the cheapest investment option in Bahria Town Phase 8 Rawalpindi. It offers residential plots of different sizes such as 5 Marla, 8 Marla, and 10 Marla. The Bahria Town Phase 8 Extension project was launched in 2010 and plots were offered on 4 year installment plan. Files are available on resale in the market and all payments have been cleared. Location of Phase 8 Extension is a bit farther from Awami Villas 3 which is located in Sector N, therefore not many people have seen that area and actual development status of the project. Payment plan of phase 8 extension is given below. Normally people quote profit rates for each category of plots, and you might not understand what will be the actual cost, so you can check the actual paid amount of these plots below. Add these amounts to the profit rates to get your actual cost for some plot in phase 8 extension. 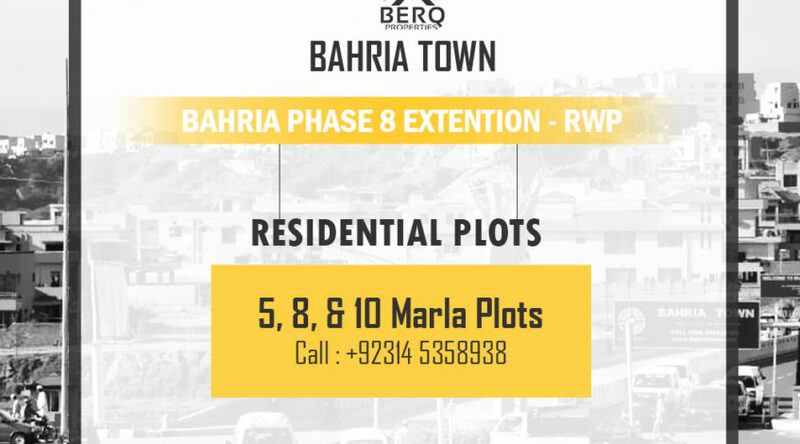 Since phase 8 extension is the cheapest investment option in Bahria Town Phase 8, and prices are at their lowest at present, phase 8 extension could be considered as a very good investment option for a period of 2+ years.